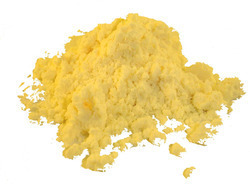 Our organization is engaged in offering an extensive range of Cream Powder. This powder is prepared as per the diverse traditional and contemporary methods using best quality cream at our hygienically highly developed processing unit. Our offered powder is available in diverse packaging of diverse weights in order to meet the specific needs of our clients. Apart from this, our offered powder can be availed at pocket friendly price.